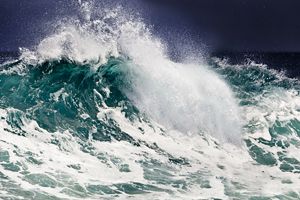 A Tsunami (Pronounced 'Soo-Naam-ee') comes from the Japanese word for 'Harbor Wave'. A Tsunami is a series of huge waves that strike a coast. The waves are caused when massive amounts of water are displaced due to an undersea disturbance. Earthquakes, Volcanic Eruptions, Meteorites or even nuclear weapons testing can cause them. The damage caused can range from little to massive devastation, as seen on December 26th 2004 when an earthquake measuring 9.3 occured off the coast of Sumatra, Indonesia in which 300,000 people lost their lives due to the massive tsunamis that hit the surrounding land. A Tsunami is caused when large amounts of water are displaced, usually occuring from seismic activity e.g. Earthquakes and Volcanic Eruptions. It can also be caused be caused by landslides or underwater explosions. Tsunamis can actually occur anywhere, but there are areas of the world where they are more likely to happen. Most Tsunamis occur around the Pacific Ocean due to high seismic activity. Japan, for example, is so prone to Tsunamis, that they even practice 'Tsunami Drills'. It is very difficult to predict when a Tsunami may occur next but there are some warning signs. - The ground shaking, indicating an earthquake or seimic event has occured. If this happens, you should immediately get to higher ground. - The sea receding away from the coast, exposing fish for example. 15 minutes after the earthquake, 5 metre high waves hit the coast of Chile. Around an hour later, another series of waves hit measuring 8 and 11 metres high. 909 people were killed, 834 people were missing and many coastal villages were completely destroyed. 11 minutes after the earthquake, a tsunami of around 12 metres tall hit the coast of Papua New Guinea killing approximately 2200 people. 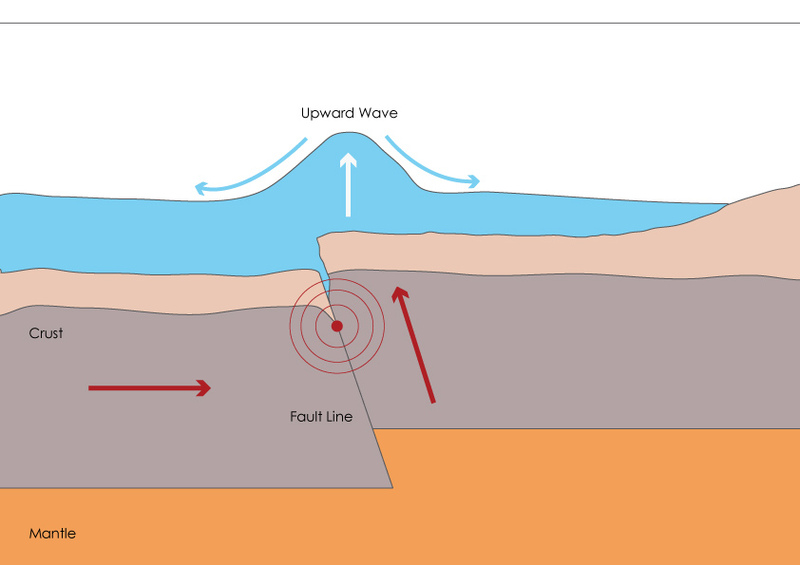 It is belived the earthquake's magnitude was not large enough to create these waves directly, but that an undersea landslide caused by the earthqauke resulted in the tsunami of this size. Approximately 300,000 people were killed - 160,000 in Indonesia alone and is the deadliest Tsunami and 2nd largest Earthquake ever recorded. The initial surge of water rose to a height of 108 feet and reached places including Thailand, Indonesia, Sri Lanka and as far away as Africa and even Mexico.